We accidentally stumbled upon Skinny Dip London in the summer, amongst the streets of Soho, whilst trying to locate Yo Sushi. We didn't find Yo (the restaurant was closed for a refurb) but it was fate we found the kitschest accessory boutique in the whole city. The small store was bunged with furry bags, glittery phone cases, holographic makeup bags, sparkly luggage tags. We had to rush as it was closing time, but I bought something anyway, a fuchsia pink, glittery flamingo luggage label. When we got home, I looked up SkinnyDip and was excited to find I could browse and buy the same crazy cool accessories online. A little while ago they launched this season's collection, which includes The Simpsons Undressed. 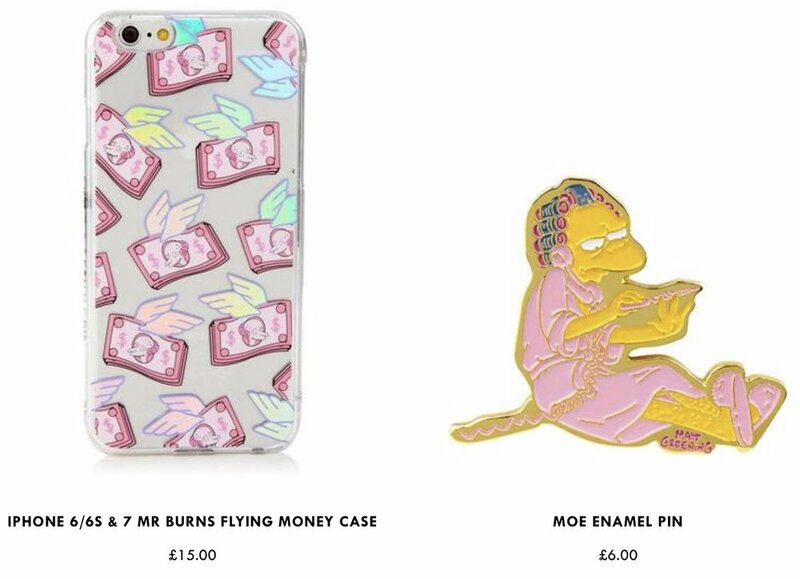 Passing over the typical Simpson character merch, instead this range focuses on Mr Burns, Moe and Marge's sisters Patty & Selma.